Building a new kitchen or renovating your existing space is time-consuming and expensive. Such a huge investment may not be feasible for everyone, so how else can you upgrade your home? Custom cabinetry is the solution you need to give your home a new look without breaking the bank. Here’s how this customized approach to kitchen renovation can benefit you. Custom cabinetry in Toronto is a great investment for your kitchen or bathroom. What makes this upgrade so terrific is that you can pick and choose the features that work best for you and your household. When it comes to custom cabinetry, you have free reign to select upgrades such as new trim, moulding, glass doors, valance, gable panels, or corbels. You can also upgrade your cabinets to suit the look of your home or design the features that you need. Every single space will have a reason and purpose—whether you need floor-to-ceiling storage or traditional over-the-counter cabinets. Waiting months for materials to come in from overseas is not the way anyone wants to spend their time as they prepare for a cabinet upgrade. That’s why our custom cabinetry services are so popular. At Booth7, we source our materials locally to support the economy and shorten wait times. We also upgrade your cabinets in our own warehouse, which has the right amount of space, equipment, materials, and tools to get the job done in a fraction of the time. Since we provide our services to the local Toronto area, we keep our turnaround times short so you can upgrade your home sooner. Instead of discarding and buying new cabinets, custom cabinetry in Vaughan is an eco-friendly option. By reusing and upgrading what you already have, you will help reduce the amount of waste that goes to landfills and save money and time. At Booth7, the lacquers and paints we use for our cabinet painting are made of safer, low VOC, water-based ingredients that do not leave strong, lingering smells. Why Choose Booth7 for Kitchen Custom Cabinetry? 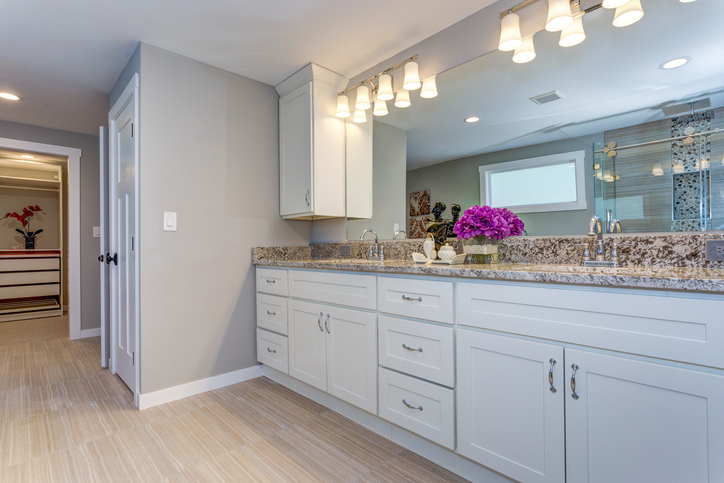 If you’re ready to spruce up your home and want to enjoy the benefits of custom cabinetry, the team at Booth7 is ready to help you. We can give your home the upgrade it needs without the hefty cost and impact on the environment. Our customized approach allows you to truly get the cabinets that appeal to your style and purpose. Plus, newly upgraded cabinets have a huge impact on the look of your home! We are a one-stop shop and our professionals will handle all the details of your project from start to finish. Ready to get started? Simply fill out our online form or contact us at info@booth7.com. If you have a specific idea for custom cabinetry in Vaughan, attach a photo of your existing room when you e-mail us, and get a free consultation and estimate!